Start Simple. Start with Vitamin C.
When you seek help for a problem, it’s good to have already tried the basics (like turning it off and on again). For health problems (both physical and mental), start with the health basics, like nutrition, sleep, and exercise. Here’s a good example: Vitamin C seems pretty common. If you have a truly healthy diet, you’re probably getting enough each day. Foods that have Vitamin C include citrus, leafy greens, strawberries, and more. 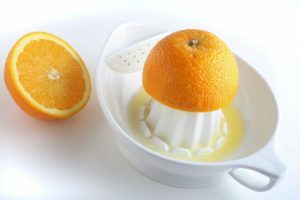 But if you’re not getting enough Vitamin C, you might have unpleasant side-effects that you don’t realize are related. Extreme, obvious Vitamin C deficiency includes diseases like scurvy. But a more mild form of Vitamin C deficiency might cause stress, depression, sugar cravings, and more. Things that are actually pretty common among Americans! There are actually quite a few studies showing that Vitamin C helps with mental health, and with depression in particular. Getting a bit more Vitamin C in your diet is a good place to start when symptoms of stress, depression, and anxiety start up. Even better, if you need to escalate to more aggressive ways of tackling symptoms, Vitamin C still helps, and might improve your chances of success. If dietary restrictions are keeping you from getting enough Vitamin C, make sure you’re taking a daily multivitamin with Vitamin C, like Vita One. The ingredients in Vita One are easily digested and used, so they’re more efficient and easy on struggling digestive tracts. Get basic support with Vita One each day!